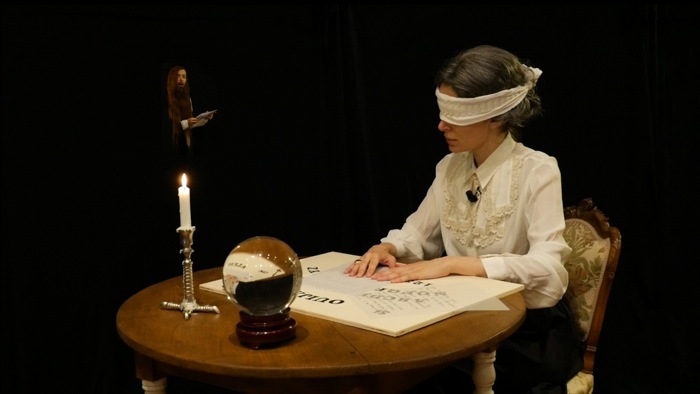 waterside contemporary is pleased to present The Book of Evil Spirits, an expanded video installation by Chiara Fumai, and the artist’s first solo exhibition at the gallery. The Book brings together a number of characters whose narratives Fumai has embodied in her performative practice to date. In creating this catalogue, Fumai enlisted the help of Eusapia Palladino, a 19th century internationally renowned psychic and medium whose séances were attended with conviction by the likes of Nicholas II of Russia, and Nobel-laureates Marie and Pierre Curie. 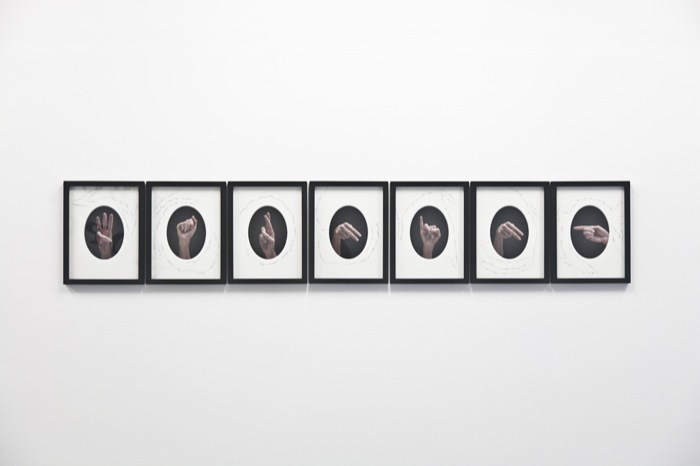 Participation in the séance requires a departure from the rational and the conscious; by calling on a medium - and becoming one herself – the artist bypasses cultural structures, and her own narrative method itself. Fumai has borrowed from an array of historical characters, often women in history who from marginal positions gained recognition for voicing their dissent. They have included the writer and activist Ulrike Meinhof, bearded lady Annie Jones, philosopher Carla Lonzi, and indeed Palladino, the artist’s muse. Fumai allows herself to become ‘possessed’ by them, and under the comfortable guise of re-enactment, hijacks their narratives for her own purpose. In The Book, Palladino convenes the spirits of Fumai’s motley crew of evil spirits – activists, terrorists, freak-show performers, philosophers, all at one point alter-egos of Fumai herself – who collectively represent the fears of a bourgeois society. The artist’s camp parody is itself obscured by knowing anachronism and occasional bursts of uncontrollable stage violence. The events are observed and narrated by the French scientist Camille Flammarion, Palladino’s contemporary and a scholar of mediumship, who takes turns with himself in affirming and discrediting what he sees. 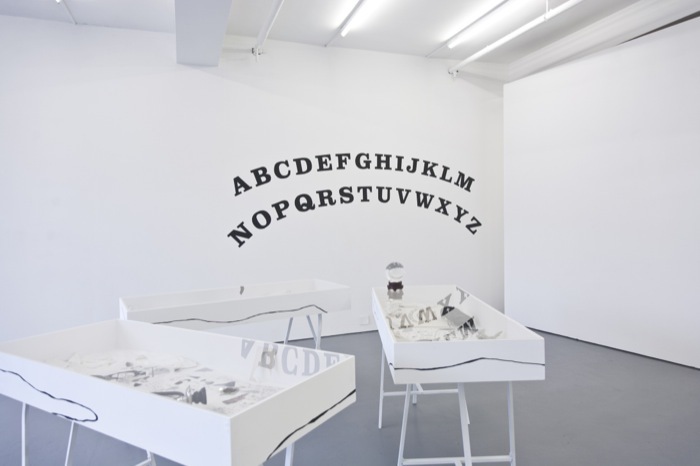 This place of misunderstanding and fragmentation is at the crux of Fumai’s production: presented with the sitting are various paraphernalia relating to the ghosts and the medium herself – a spirit board, collages of automatic writing, an anonymous message of warning spelt out in International Sign alphabet. ABCDEFGHIJLMNOPQRSTUVWXYZ Arrivederci. Chiara Fumai (1978, Italy), lives and ‘unworks’ in Milan. Recent one-woman-shows include Der Hexenhammer at Museion, Bolzano, 2015; With Love from $inister at A Palazzo, Brescia; I Did Not Say or Mean 'Warning' at Fondazione Querini Stampalia, 2013. 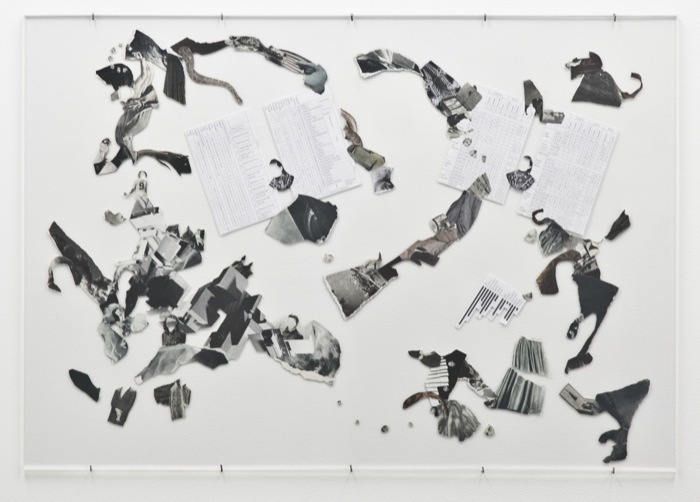 Her recent group exhibitions and performances have been presented at David Roberts Art Foundation, Contour Mechelen, CA2M Madrid, 2015; Whitechapel Galley, De Appel Amsterdam, Nottingham Contemporary, Fiorucci Art Trust, London, 2014; MUSAC, 2013; dOCUMENTA (13), Kassel, 2012; Nomas Foundation, 2011. The exhibition is supported by Arts Council England, with thanks to Contour Mechelen and Dena Foundation, Paris.